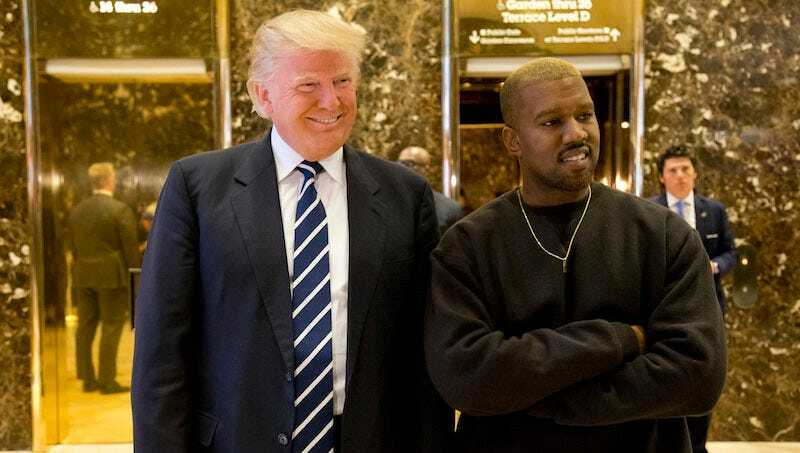 This morning, President-elect Donald Trump took a meeting with the troubled musician Kanye West, whose affirmation of support for Trump in recent weeks was seen at the time as evidence of his then-impending breakdown. Turns out, he’s just a fan. What do they have to talk about? The two men have quite a bit in common—experience on reality TV; a pathological need to vomit regrettable messages onto Twitter; other things, I’m sure. So it’s only fitting West expounded on their meeting in a series of tweets Tuesday afternoon. And then—a message indicating West will wait until 2024 to run for president so that Trump might serve a second term. How incredibly gracious of him. Anyway, this is what the president-elect is doing with the last month he has to learn how the presidency works.